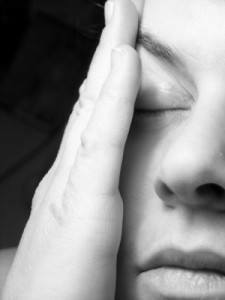 Traumatic brain injuries happen when there are blunt impacts to the head region. These can be mild or severe, depending on the age of the person and the overall force of impact. Concussions are a type of brain injury that often are considered "mild' in comparison to other traumatic brain injuries, but the long term effects are still widely unknown. Although CT scans can be used to check for more severe injuries, they typically are not used if the physician decides the patient only has a concussion. The main cause of traumatic brain injuries in general are falls, although the majority of these are either children under 14-years of age or adults over the age of 65. The next most common factor was automobile accidents, which attributed to over 17% of these types of injuries. Impact injuries such as bicycle and sport injuries are almost tied with auto accidents at slightly less than 17%. Most concussions are treated with rest and relaxation. Over-the-counter medications may be used for pain. Doctors generally suggest that patients with concussion rest and do not resume vigorous activity until all symptoms have diminished. Studies are still being done on the long-term effects of concussions. The University of Illinois conducted a study in 2009 on brain function post-concussion patients. They found common deficits in some types of brain functionality, even though the injuries were an average of 3 ½ years old. The legal community is closely monitoring the developments in the medical world related to the impact of concussions on people involved in car accidents, motorcycle crashes and bicycle collisions– to name just of few of the types of personal injury cases where people tend to sustain closed head injuries. As Chicago accident lawyers, Rosenfeld Injury Lawyers LLC is committed to staying up-to-date with all of the developments in this emerging area of medicine and the law. Our attorneys regularly attend educational seminar to learn more about injuries to the brain. We firmly believe that in order to successfully represent injured clients, our attorneys must have a thorough understanding of the condition that the individual is suffering from. If you sustained a concussion in an Illinois accident and are seeking legal representation, contact our office for a free case evaluation where you can discuss your options with a seasoned personal injury lawyer.